Since the Rite for Christian Initiation of Adults (RCIA) was introduced in 1972, Catholics have been blessed by a retrieval of the ancient process for a conscious, grace-filled entry into the life of the Church. Formally elected and welcomed by the local community on the First Sunday of Lent, the catechumens, who have already been formed by the assembly in the ways of worship, justice, and personal prayer, begin their final period of preparation to receive the three sacraments of Christian initiation. The gospels of the Samaritan woman in search of water (John 4: 5—42), the man born blind (John 9: 1—41), and the raising of Lazarus (John 11: 1—45) are proclaimed at Mass on the Third, Fourth, and Fifth Sundays of Lent, respectively These gospels incorporate three important themes of Christian initiation: cleansing through water and yearning for eternal life; faith understood as sight and vision; and death to one's 'old' self so as to rise again with Christ. After the homily on those Sundays the candidates, now called the 'elect' or the chosen, kneel before the presiding priest. After the assembly has risen to intercede for them, the president in a prayer of exorcism asks that God will deliver them from the power and wounds of sin. The ancient customs of traditio (handing over) and redditio (handing back) also enjoy their place in the Lenten preparation. The community of believers 'hands over' to the catechumens the Creed or symbol (summary) of the Church's faith, the 'Our Father' which is the model of all Christian prayer, and sometimes other special signs of Christian life, such as the Bible, which records and symbolizes the history of salvation into which the baptized enter, and copies of the Beatitudes and of the Ten Commandments, the guidelines for Christian living. After instruction on these items and a short period of living them out, the candidates are invited to 'hand back' what they have received by giving witness or by praying. initiation reaches its conclusion when the newly baptized share in the Eucharist and make their First Communion. 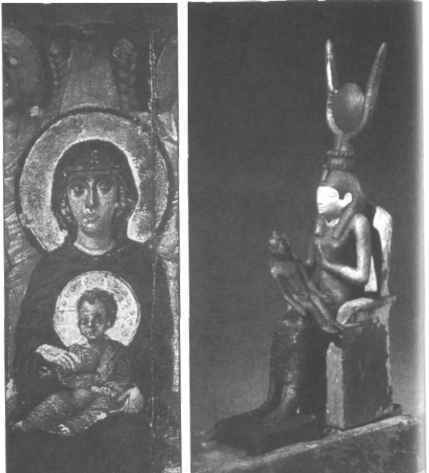 The Churches of Eastern Christianity continue to celebrate the three sacraments of initiation together, even in the case of infants. In the Catholic Church of the West, as well as with many other Western Christians, parents are expected to bring their children to be baptized in early infancy. 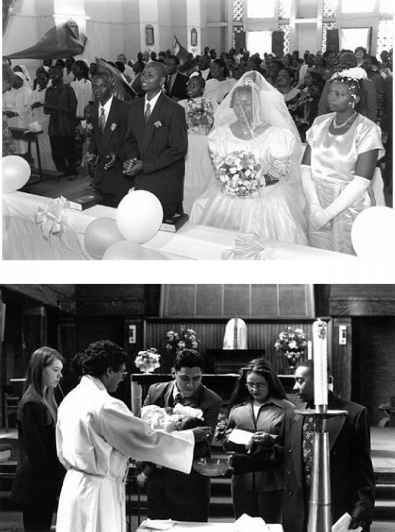 The parents and godparents profess their own faith in the name of the children, and promise to educate them in the Catholic faith and help them to live a life that befits the baptized. But First Communion and confirmation are delayed. The 1983 Code of Canon Law requires that, before receiving their First Communion, children should be carefully prepared and, 'according to their capacity', able to 'understand what the mystery of Christ means' (913. 1). It prescribes that candidates for confirmation be 'suitably instructed, properly disposed, and able to renew their baptismal promises' (889. 2). The Code prefers confirmation 'about the age of discretion' (canon 891), which would be around the time for First Communion. Hence confirmation could be celebrated during the same liturgy as First Communion—which would better express the unity between the three sacraments of initiation. We turn now to the development of confirmation in Western Christianity and Catholicism.